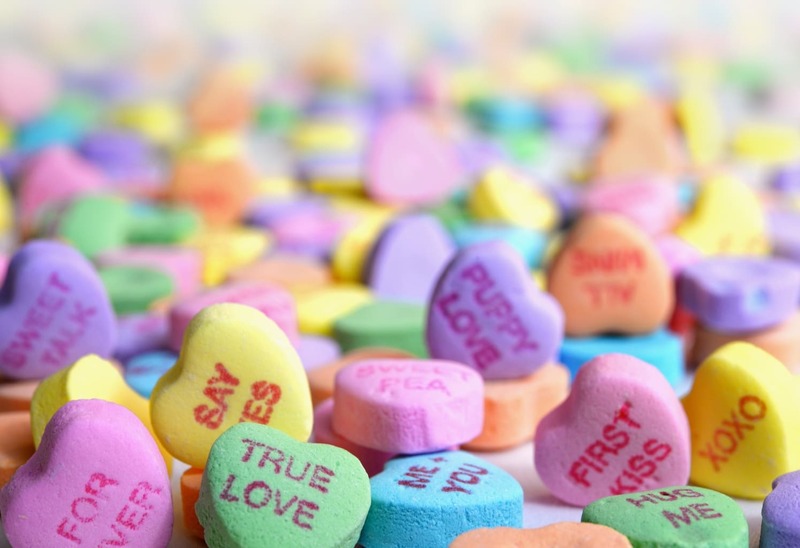 Roses are red, violets are blue, this Valentine’s, try something new! In honor of the upcoming Valentine’s Day, I decided to create three outfits you can rock for under $100, regardless of whether you have a significant other or not. Dressing in red or pink for Valentine’s Day is too predictable, and so is wearing a dress for a date. Instead, challenge traditional expectations with this outfit. 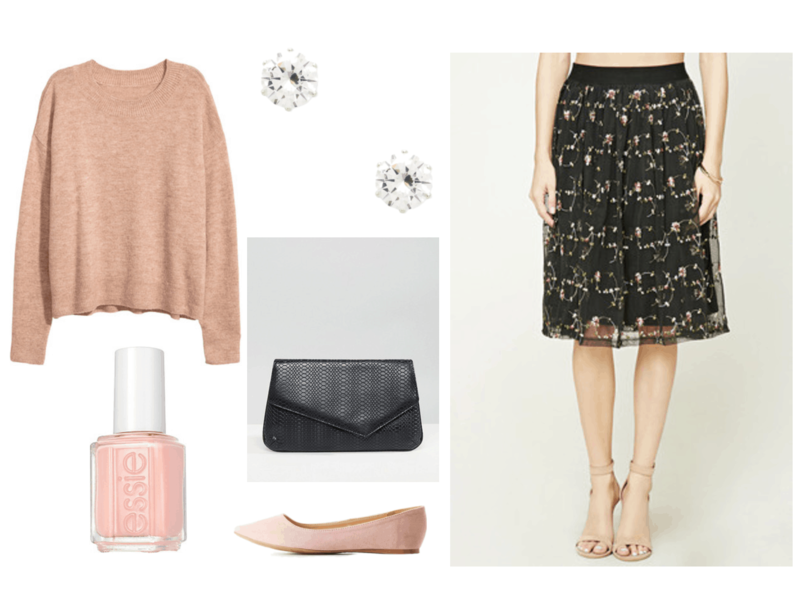 Style a beige sweater with a skirt for an understated, sophisticated look. Include Valentine’s colors in your accessories, like the shoes and nail polish. Maybe this year, you and your gal pals are choosing to get together for brunch instead. 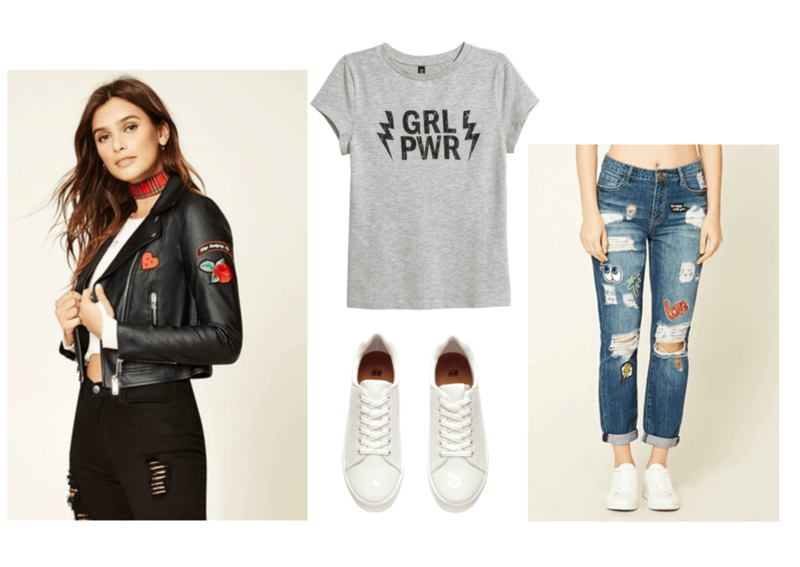 Channel your inner girl power with this cute graphic tee, and opt for fun pieces like this moto jacket and jeans with patches! Before you give love to anyone else, you should love yourself first. 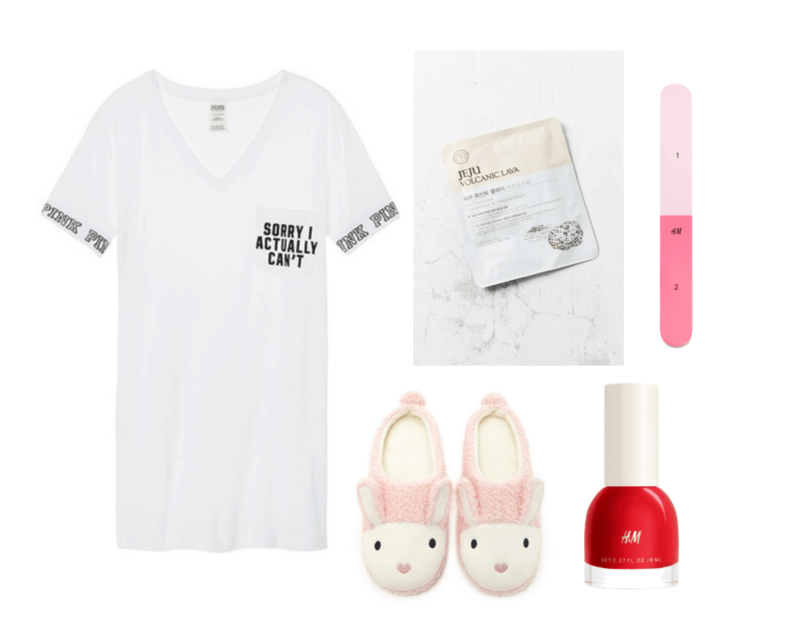 Take it easy and chill inside with a comfortable sleep tee and cute slippers (you don’t even have to wear pants if you don’t want to), and treat yourself to a beauty routine with face masks and nail polishes! Would you try these looks? What are your plans for Valentine’s Day? Leave your comments below!